Have you ever considered how wheelchair accessible the average ‘disabled toilet’ might be? Next time you are out at a café, shop, cinema, or even in your office, check out the toilet (even better take a friend or colleague and an office chair, or wheelchair if you have one, and do a bit of role play! – I’d especially love for building developers, designers and facilities managers to try this!)….. Could you wheel a chair into the room? Is there space around loo for the chair so that you (the seated person) could transfer to the loo (some people prefer to transfer from the side and some from the front)? There’s not a bin in the way is there? That’s a very common frustration! Or a mop, hoover or even spare office supplies!? More common than you would imagine! If you can – brilliant! – that’s a tick from many part time wheelchair users and full time wheelchair users able to self transfer. However, now imagine you cannot transfer to the loo on your own. You may be able to stand and weight bear so perhaps your friend (carer) could help you? Is there enough space to do that? With the chair in there too…. and the door closed? A bit of a squeeze? But what if you cannot weight bear? Can your friend help you get over to the loo? Is there a ceiling hoist? A portable hoist? If not is it safe for them to lift you from chair to loo!? Probably not. Finally imagine you wear an incontinence pad and cannot stand up to change. What do you do? Is there a changing bench big enough for you to lie on? A hoist? If yes – brilliant! Gold star! If no, what do you do? Are you prepared to be lifted by your friend out of your chair to lie on the floor? And is your friend happy to lift you, another adult!, on a slippy toilet floor, lower you onto the floor and then kneel down on said floor to help you to change? I suspect not…! The solution to scenarios 2 & 3 would be a #ChangingPlaces Toilet (as well a whole range of other scenarios for which changing places are the solution too). A toilet with a changing bench and hoist and a bit more floor space that can accommodate a wheelchair user, their wheelchair (some electric wheelchairs in particular are lot larger than the compact one shown in the above sketch! ), plus 1 or 2 carers to move around comfortably. Have a look at the map on the Changing Places Consortium website to see where the nearest one to you is. Chances are it’s not very close! As I sit writing this, google maps tells me the closest one to me is 2.5 miles! Would you travel that far to use the loo!? No neither would we, so we have to go home or change our daughter in the car. However there is so often no choice for people but to use that small, uncomfortable, dirty toilet floor…..
Next Post When is accessible not accessible? Probably can’t get your chair close enough to the sink to wash your hands either! And sometimes the hand dryer is then on the other side of the room! Yes that’s another thing! 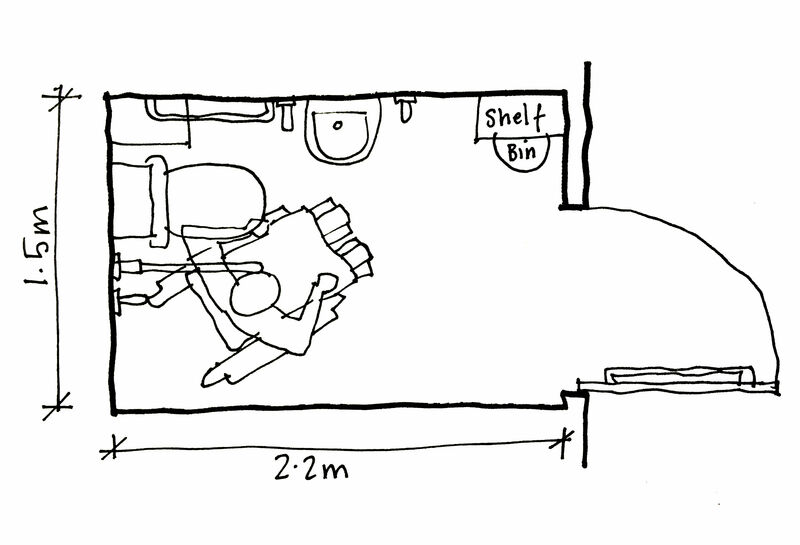 The style of accessible loo I’ve sketched here is designed so you can reach the sink from the loo. There is another layout in the building regs (that should installed if it’s the ONLY accessible loo in a location) which is a bit wider and has an additional sink away from the loo and at a standing height (as not all accessible toilet users are wheelchair users! ), but that still doesn’t really solve access to the sink from a wheelchair – and, I have to say, I’ve not seen many with two basins in my travels! 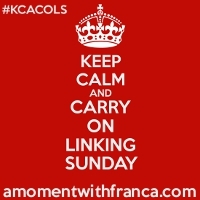 Thanks for linking up to #KCACOLS and writing about such an important issue! I live in SW London, well inside the M25. Surely it can’t be far to a changing place toilet for me? Unbelievable 5.7 miles away!!! This is so true, even if people don’t need assistance, if their wheelchair is larger than a compact manual chair it can be a real struggle! Yes! This is really interesting, thank you so much for the link! It doesn’t include a hoist for lifting onto the bench or WC, but if a ceiling hoist was added it wouldn’t interfere with the floor area anyway.